Mike and Pete’s training for their epic bike ride from Seville to Santiago de Compostela across Spain continues apace: their flight is booked for three weeks today. Pete has calculated that the total climbs on their route equate to just over the height of Mount Everest: call it 30,000 feet. 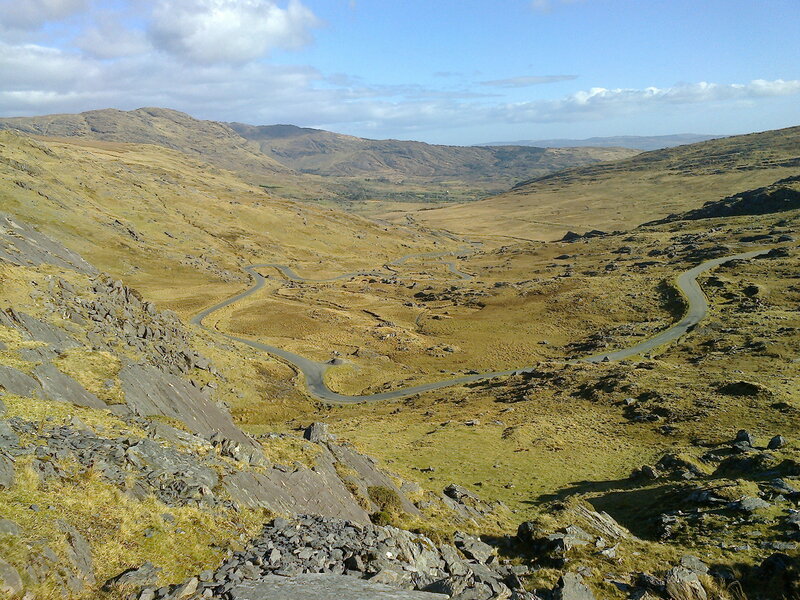 Whilst on the Beara in West Cork, Mike and Graham rode over the Healy Pass into County Kerry and back down to sea level at Kilmackilogue, before retracing their route to Adrigole. 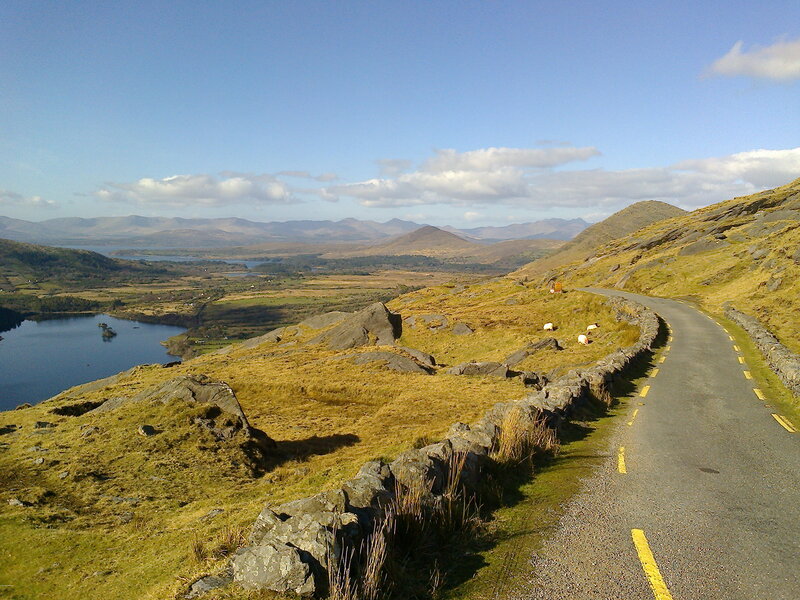 The Healy Pass road is not ridiculously steep but it is relentless: it snakes up via hairpin bend after hairpin bend after (yet another) hairpin bend. At the top the mountains of Kerry suddenly appear. The road swoops downhill, passing Glanmore lake far below. 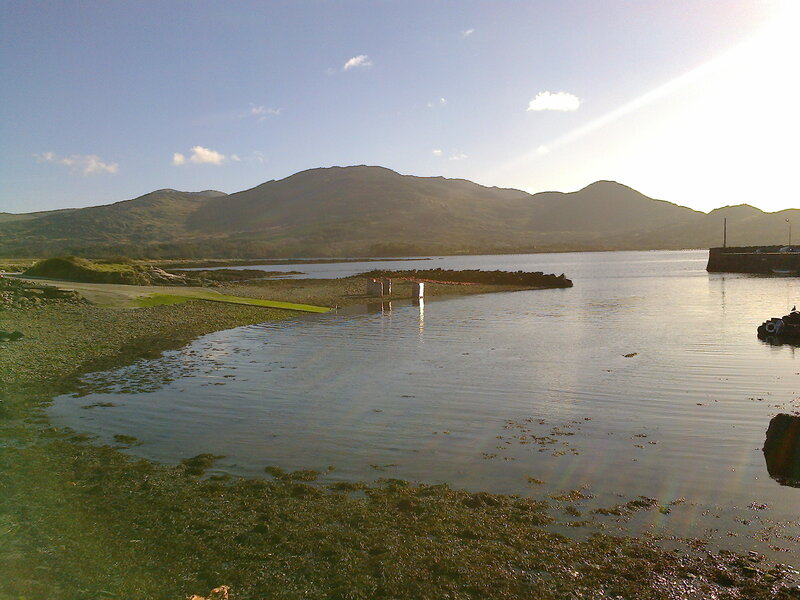 At lower levels the road passes through lush woodlands before heading out to Kilmakilogue Harbour on the North-facing coast, where a friendly pub is handy for a refreshment break. The return trip is somewhat tougher, as the climb is steeper towards the top. However, Mike and Graham completed the ride in about 3 hours. Total height climbed was around 2,000 feet. So, returning to the Everest comparison I mentioned earlier, that made one fifteenth of an Everest, likewise one fifteenth of the climbing on the Seville to Santiago de Compostela route – and all in 3 hours. It looks more doable when viewed that way – next year the Himalayas, Mike? Graham and Ian (former Newport Bike Hire) invite you to join a regular Thursday social ride. or come to the shop – Carningli Centre, East St, NEWPORT,SA42 0SY by 10 am, Thursday. Graham decided there was time for a road ride between the bands of heavy rain sweeping through Pembrokeshire lately. Moylegrove is under 6 miles (9.5km) from Newport but feels more distant. You turn off the main road (A487) almost immediately to cross the Nevern estuary at the rebuilt iron bridge. After that the lanes are quiet and the views magnificent. The direct route takes you down a sharp slope into the pretty village centre. Nowadays the only cafe is at Penrallt Ceibwr Garden Centre. It is worth a visit if you don’t mind a steep climb to reach it. It is not far though – and think of sailing back down! 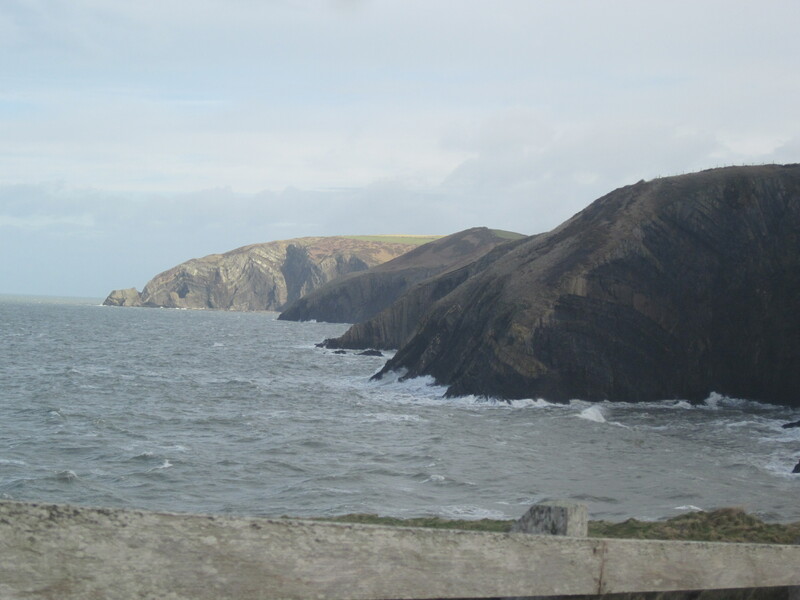 Another option, perhaps for warmer weather, is to divert down to Ceibwr Bay. The beach is a beautiful place for a picnic, a paddle or just to admire the superb rock strata on the cliffs. It is also enjoyable to wander off on a side road – exploring tiny lanes is one of the pleasures of North Pembrokeshire. Having a good map is advisable as they don’t always end up where you might expect. On the other hand, if you are on holiday, you might enjoy getting a little lost. You can’t go too far wrong; the area is bounded on the one side by the Irish Sea and on the other by the Preselis (though you’d have to cross the A487 to get there). We plan to prepare maps and short guides to popular routes for loan to bike hirers or to sell for a small price. This route will be one. Although it is all on-road, people often ride it on mountain bikes for comfort and to make the short, steep parts less daunting.